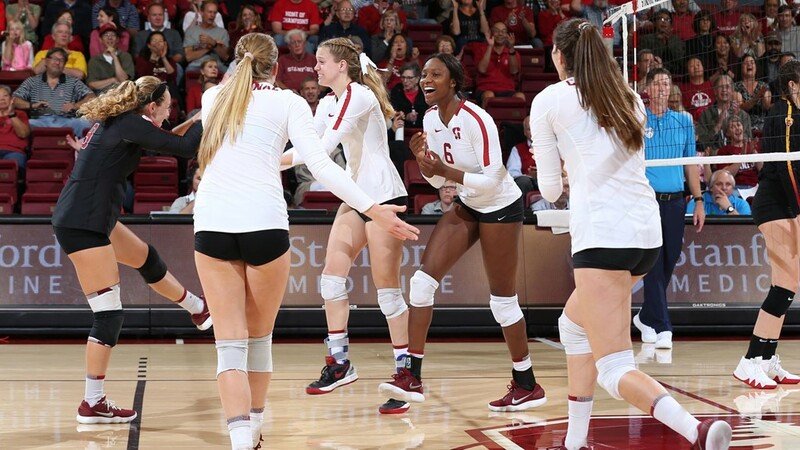 The Stanford Cardinal continued to chip away at BYU’s lead as the #1 team in the AVCA coaches’ poll in week 12. Stanford, who are ranked #1 by the computers in the RPI rankings, peeled 4 votes away from BYU in the latest ranking. While the undefeated Cougars are still the top team in the vast majority of coaches’ brackets, they are slightly-more controversial. Every voting coach in the poll except 1 had Stanford ranked #1 or #2 (the only exception is Morgan State head coach Ramona Riley-Bozier, who had Stanford ranked #3). 4 coaches, meanwhile, pegged BYU as #3 – Matt Ulmer from Oregon (in the same conference as Stanford); Sam Crosson from Cal Poly; Liz Hart from Northern Kentucky; and Shawn Garus from Boise State. Every one of those coaches had Minnesota at #2. Of that group, only Ulmer’s team has played any of those top 3. Ulmer’s Ducks lost 3-1 to Stanford twice, but beat Minnesota 3-1 – and he elevated the Gophers over BYU in his poll. (Only 2 Pac-12 head coaches and only 1 WCC head coach have voted in this year’s coaches’ poll). The top 12 in this year’s poll all remained the same, with the first change coming when Florida jumped USC for 13th, with neither the coaches nor the computers penalizing the Trojans much for their 3-1 loss to #20 Washington (though Washington was rewarded by the coaches, jumping 5 spots from 25 to 20).